How do you do business in a war zone? This is not a war zone, maybe a Hot zone but not a war zone. You do business the same as Bolivia or Peru or Nepal or any other place when they have a general strike. Everyone closes their business, but they do not close. They are ready to close, but they are open. In Peru, the whole city decides to stop business and strike. It is a joke, nobody stops, they closed the doors and you have to knock. Solidarity is not going to cost a business money. 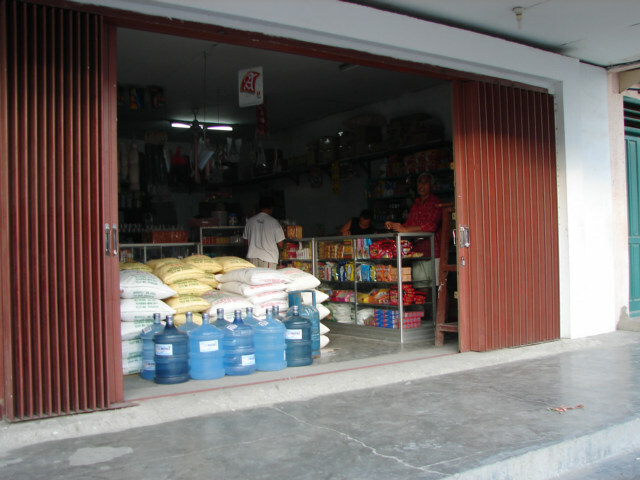 The shops in East Timor could at first glance seem closed. However, paying attention, many are open, or half doors are open. Ready to close when needed. There are shops that instead of being open all day and all night, they are open only for prime time business. I can go purchase food, eggs, and other supplies easily in the morning at many grocery stores. However in the afternoon towards sunset it become increasing hard to find a grocery open.